Serving La Habra since 2002! We are a chiropractic clinic that believes your health and wellbeing are of the highest importance. Dr. Brown has made it her mission to help you heal your body naturally. Along with personalized chiropractic care we offer a variety of other services: such as Functional Medicine and Nutrition, digital x-ray, massage therapy, myofascial release therapy, rapid release therapy, endermologie, yoga, pilates (mat and reformer), circuit toning and resistance ball classes. All classes are done in a non-intimidating environment and are taught by certified instructors with hundreds of hours under them. We also do private training in Pilates, Yoga and active rehab after injuries. Our classes are challenging, yet safe. All levels are welcome. We have licensed massage therapists on staff to help you feel relaxed and help ease your pain. 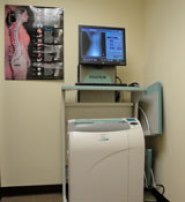 We are also trained by LPG for endermologie treatments. This is a great way to shape up, decrease the appearance of cellulite and decrease muscle tension! We are located near La Habra High School. For directions to the office, please click here.